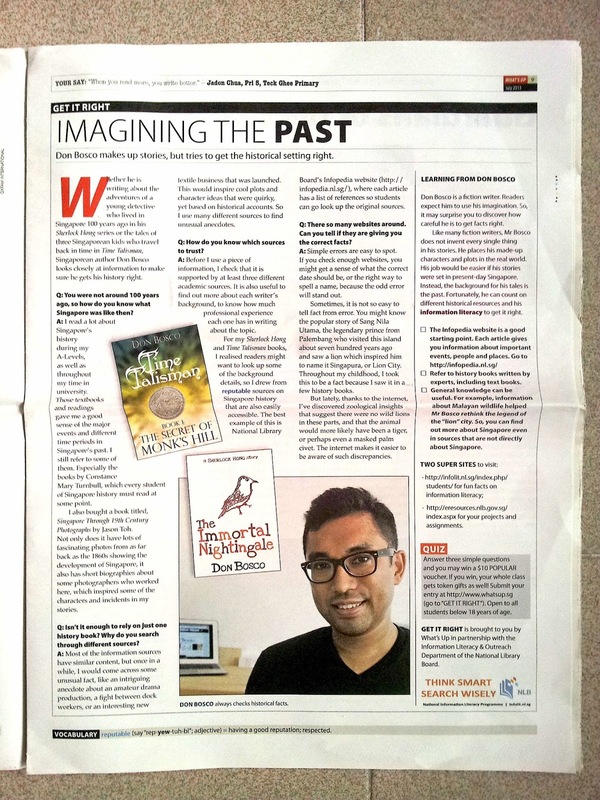 "Whether he is writing about the adventures of a young detective who lived in Singapore 100 years ago in his Sherlock Hong series or the tales of three Singaporean kids who travel back in time in Time Talisman, Singaporean author Don Bosco looks closely at information to make sure he gets his history right." The Secret of Monk's Hill + The Immortal Nightingale, featured in this month's issue of What's Up newspaper for students! Thanks to the editorial team for this great article.